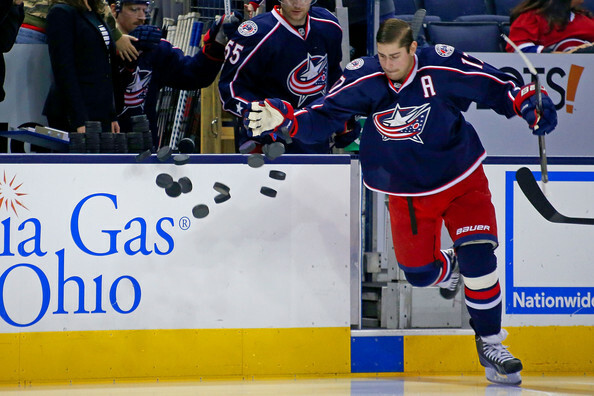 Brandon Dubinsky has long been a pest, starting with the New York Rangers and continuing as a member of the Columbus Blue Jackets, but things really heated up when Columbus met the Penguins in the 2013 playoffs, particularly with respect to Sidney Crosby. And Dubinsky's targeting of the Pittsburgh captain reached a head in November when he cross-checked Crosby's neck and then followed up by cross-checking him while he laid prone on the ice. Surprisingly enough, it was Dubinsky's first suspension, but it would be no surprise if several more are in his future. Colin Campbell is the reason why the NHL's Department of Player Safety is so hated by fans today. The former head disciplinarian, Campbell's role in handing out suspensions helped reinforce the perception of the NHL as a garbage league stuck in the past. His failures on Mike Richard's headshot on David Booth and Matt Cooke's headshot on Marc Savard caused the league to create a new rule so those types of dirty and cowardly hits would finally be addressed. Tom Fitzgerald was a member of the 1996 Florida Panthers team that upset the Pittsburgh Penguins in the Eastern Conference Finals, but he made his lasting mark on the team by his failures as the team's Director of Player Development. Ray Shero got his fair share of the blame for the lack of forwards moving through the pipeline, but it's no surprise that the Penguins have now finally seen forwards with promise now that Fitzgerald has left the Pittsburgh. 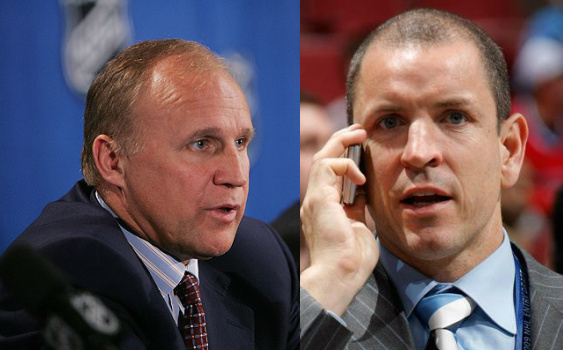 Jim Balsillie agreed to buy the Pittsburgh Penguins in 2006, but few put much stock in the BlackBerry owner's desire to keep the team in Pittsburgh. With it becoming ever apparent that he was not going to be able to move the team to Hamilton, Ontario, Balsillie backed out of his agreement to buy the team, infuriating Mario Lemiuex and the league. In fact, Balsillie was essentially black balled by the Board of Governors, and the NHL preferred to take control of a bankrupt Phoenix Coyotes franchise than to allow Balsillie to buy the team and move them to Hamilton. As the best player on the Penguins' most hated rival, it's little surprise that Giroux would also draw the ire of Pittsburgh fans. But the ridicule reached a fever point when Sam Carchidi, a sports writer for the Philadelphia Inquirer, proclaimed that Sidney Crosby had passed the baton to Giroux after the Flyers eliminated the Pens from the playoffs in 2012. Giroux remains a useful player for Philly, but he's certainly no Sidney Crosby. Ed Rendell was the mayor of Philadelphia before becoming the Governor of Pennsylvania, and it's no surprise which side of the state he favored while in office. The Penguins were in desperate need of a new arena during Rendell's time in office, but the issue always seemed to be low on his list of priorities. 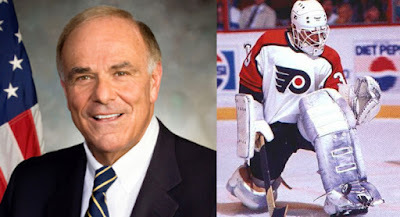 The Pens had reached a deal with Isle of Capri for a completely privately funded arena, provided that Isle of Capri won the gaming license in Pittsburgh, but Rendell was ambivalent at best on the issue publicly and all but dismissive of the bid at worst. The Penguins finally got a new arena deal when Lemieux ramped up the pressure on the state to do something, but if not for Rendell it likely would have been a settled issue earlier. The Pittsburgh Penguins had finished 2nd in the Patrick Division in 1988-89, and after sweeping the New York Rangers in the 1st round they faced the 4th place Philadelphia Flyers for a chance to go to the conference finals. The Pens took a 3-2 series lead but were unable to finish things off in Game 6 in Philadelphia. The series went back to Pittsburgh, and Flyers starting goalie Ron Hextall was unable to go for the decisive Game 7. Ken Wregget was forced to start the game, his first game action in over a month, and was able to stop 39 of 40 Pittsburgh shots en route to leading Philadelphia to a 4-1 upset to eliminate the Penguins from the playoffs. Craig Adams was a waiver wire pickup on his way to winning a Stanley Cup with the Penguins in 2009, but he would outgrow his usefulness before long and would remain an anchor on the Pens' bottom 6. 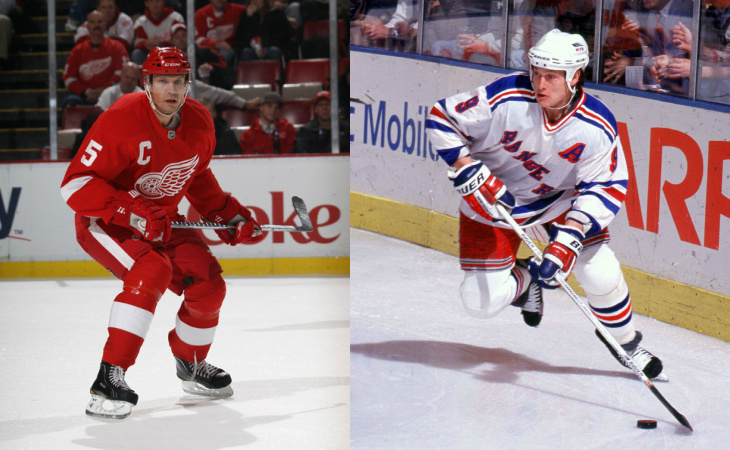 Despite his contract being up after the 2012-13 season, Ray Shero felt the need to bring the veteran back. Adams was rumored to not be well liked in the locker room, and the tension boiled over in a practice fight between Adams and Evgeni Malkin. His contract expired after the 2014-15 season, an Adams was forced to retire when no other teams were interested in his services. It's easy to hate pretty much anything Boston related when sports are involved, but Jeremy Jacobs certainly doesn't make things any more difficult. Jacobs has been despised for a long time now, but he was instrumental in forcing the league into locking out the players twice, and his actions during the 2012-13 take the cake and cement his status. Not content to just forcing the league into a stoppage, he wasn't above bullying fellow owners who weren't as extreme. Nick Lidstrom had a Hall of Fame career with the Detroit Red Wings that enters him into the conversation of greatest players to play the game, bu this was his complaining about Sidney Crosby in the wake of the Penguins' Stanley Cup victory that left a bittersweet taste in their mouth. Lidstrom stormed off the ice following the Pens' Game 7 victory, claiming that Sidney Crosby left him waiting forever in the handshake line. Yet the difference in time between 2009 and 2008 when the Red Wings won the Cup against Pittsburgh was minimal, and the incident made Lidstrom look like a poor sport and a whiner. In the spring of 1992, the Penguins were defending their Stanley Cup and hoping to win a second when they met the New York Rangers in the second round of the playoffs. Holding a 1-0 series lead, and they had taken a 1-0 lead in Game 2 when Graves wound up and delivered a two handed chop to Mario Lemieux, breaking his left hand. Graves was only given a 2 minute minor on the play, and the Rangers ended up coming from behind to beat the Penguins without Lemieux. To further add insult to injury, Graves was allowed to play in Game 3 and was a key part in the Rangers building a 2-1 series lead. Graves would eventually be suspended for 4 games, and Lemieux would return in the conference finals to help lead Pittsburgh to their second straight Stanley Cup, but it was a incident that helped cement the NHL's reputation as a garage league. 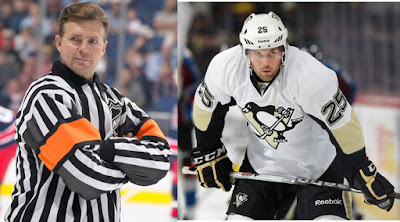 Kerry Fraser was a well-respected NHL referee who holds the career record for most games officiated, and he currently writes for TSN as an officiating expert. Despite the accomplishments and accolades, he and Mario Lemieux never saw eye to eye. They had long been at odds, but it was a game against the Lightning in 1994 that Lemieux had to be restrained by teammates from attacking Fraser. Fraser had missed a blatant slash against Lemieux before catching Mario's retaliation, and after being sent to the penalty box Fraser ejected him from the game. Lemieux raced out of the box, and if not for the quick actions of his teammates it could have been a much worse situation. When the Penguins traded Ryan Whitney to the Anaheim Ducks at the trade deadline in 2009, it was arguably Eric Tangradi, not Chris Kunitz, that Pens fans were most excited about. Tangradi was a top prospect for the Ducks, the type of physical winger with scoring potential that seemed to answer the "Winger for Crosby" search. Unfortunately, Tangradi flamed out in the most spectacular of ways, managing just 5 points in 45 games for the Penguins before being shipped to Winnipeg for a 7th round pick at just 23 years old, cutting bait on a player so many had high hopes for. 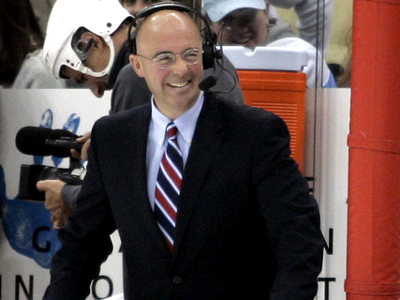 Pierre McGuire is the overly exuberant NBC broadcaster who has an ability and propensity to flood the listener with the most trivial of facts during an NHL broadcast. He actually won 2 Stanley Cups as an assistant coach with the Pittsburgh Penguins before turning into a disaster as the head coach of the Hartford Whalers. He almost gave up his career as a nationally broadcast nuisance to become the general manager of the Pittsburgh Penguins, but rumor has it he and the team couldn't agree on the term of his contract before hiring Jim Rutherford.